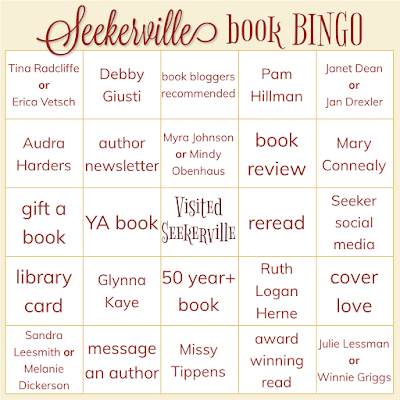 Seekerville: The Journey Continues: Connecting and Encouraging plus Seekerville book bingo! Connecting and Encouraging plus Seekerville book bingo! I'm so completely honored and humbled (and also shocked) to be here as a SEEKER of Seekerville!!! eeep! Thank you to everyone who has given all of us new Seekers such a warm welcome! Yes, I'm trying to distract you with doggy cuteness while I attempt to get my thoughts together... Is it working? No? Thank you, Lord, for using this shy, insecure gal for Your purposes and remind me to daily abide in You because we all know what a massive disaster this would be without Your mercy and grace! Amen. Writers and aspiring authors, let me tell ya, when readers feel connected to you, they are more invested in your stories! How can you connect with readers? even before you actually HAVE readers, before your dreams of publication are realized? Start by simply having a website (you can use a free blog, it doesn't have to be super fancy) and a presence on the major social media platforms (don't put all your eggs in one basket). You don't have to be an expert or spend loads of time on all of them (#ratherbewriting, amIright?!) but your readers can't tag you if you aren't there (don't miss out on the free marketing, friends). Then choose the medium you most enjoy and just be you! Share your writer-life anecdotes, post pics or moments from your daily life, interact with your readers, and/or promote other books and authors! Networking with book bloggers and other authors will naturally draw readers your way when your book launches. Savannah Kaiser and Natalie Monk are just two recent examples of pre-pub writers (now published, yay!) who have successfully connected with readers through promoting and reviewing other authors. This is the phenomena of books recommending people! And here's the crazy part, we're all just folks who love stories!!! Reader friends, we have the privilege of getting to know our favorite authors as their personalities inevitably shine through their stories. It's easy to follow an author on social media and learn all kinds of interesting things about their writing or day-to-day life. Take it a step further and encourage these authors! Like, comment on, and even share their social media posts (this increases post visibility and it works on book blogger posts as well, just sayin' *wink, wink*), drop them a little note, sign up for a newsletter or two or more. When you like (or love) a story, share a review on retail sites, goodreads, and/or social media and tell everyone about it (skip the synopsis and no spoilers, pleeeeze). Buy their books, gift their books, and ask your local library to buy their books, as well! To celebrate our reader/writer relationships and have a little bookish fun, we Seekers have devised a little game of book bingo! Claim your book bingos (5 in a row, either across, down, or diagonally) by posting "Book Bingo!" with the squares and books read or actions accomplished in the comments. Authors = Name a book you have read by the author. 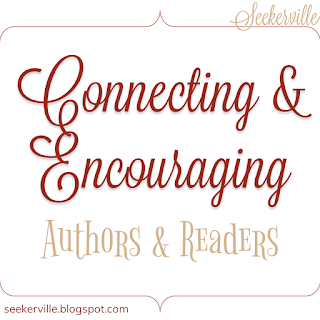 All incoming Seeker authors have been paired with an outgoing Seeker author (choose ONE of the authors) while veteran Seeker authors who are still going strong have their own square. Book Bloggers' Recommended = Name a book you have read because it was recommended by Carrie, Annie, or Beth. Author Newsletter = Name an author newsletter you are subscribed to. Book Review = Name the last book you reviewed on a social media or retail site. Gift a Book = Name a book you gave as a gift. YA Read = Name a YA book you have read. Visited Seekerville = Our version of the Free Space! Reread = Name a book you have read more than once. Library Card = Have a current library card. Give your library a shoutout if you want! Message an Author = Wrote to an author via letter, email, private message, etc. Award-winning Read = Name an award-winning book you read. Psssst... don't worry if you're one or two squares shy of a book bingo, there's plenty of time to squeeze in a book or get connected with a new author! 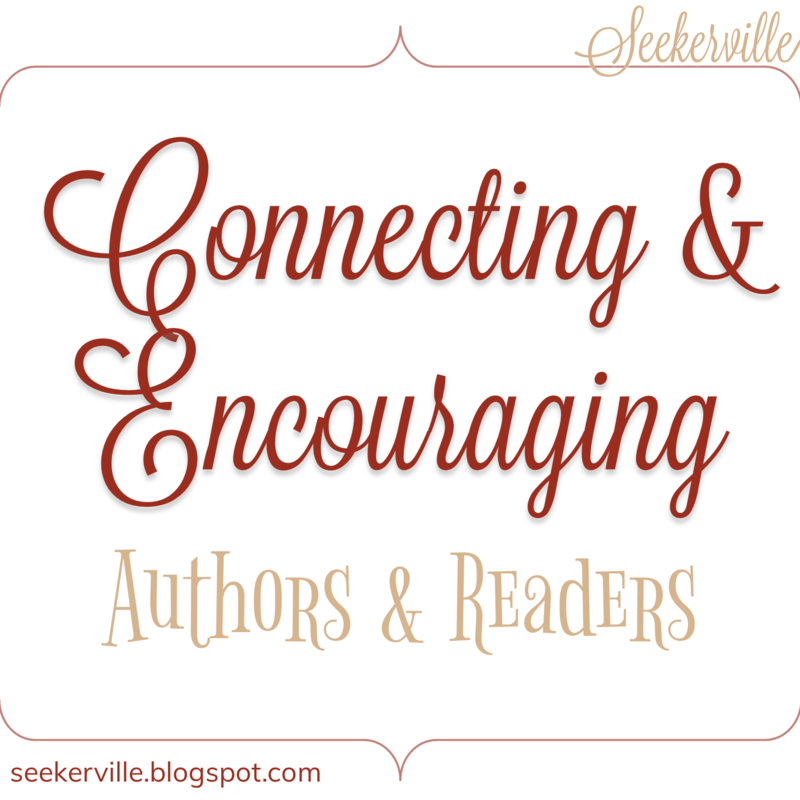 Hop over to the Seekerville Bloggers page for easy access to more website and social media links. Winners will receive a Seekerville recipe e-booklet! Names of winners will be compiled and listed in next week's Weekend Edition. 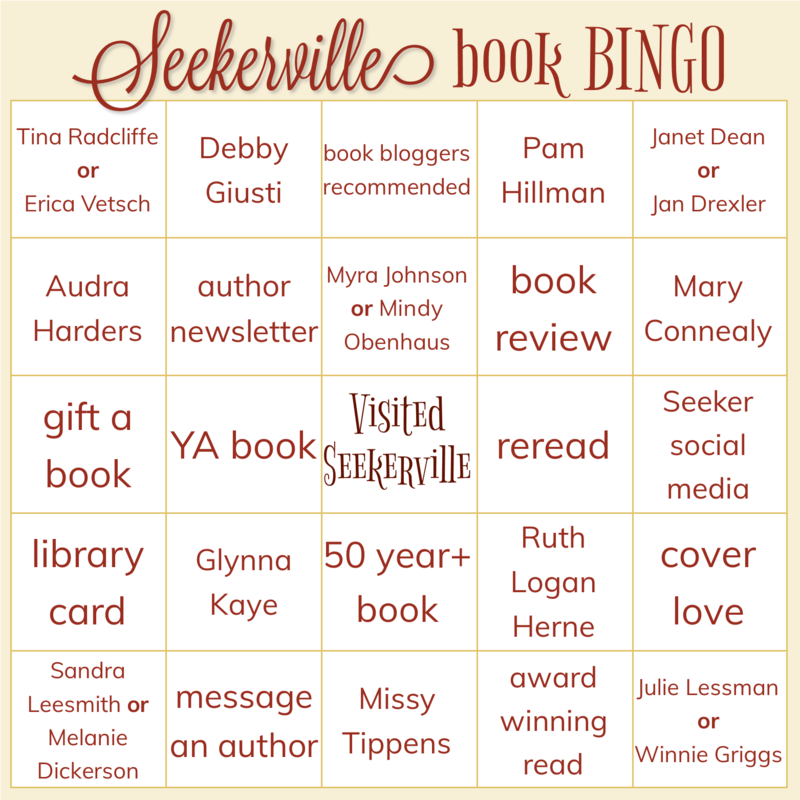 Seekerville book bingo ends 11:59 p.m. (EST) Thursday 2/15! Oh yes and while y'all are playing, have a snack! I baked cinnamon rolls, chocolate chip cookies, and oatmeal raisin cookies to share! I also brought a fruit platter, ice water with lemon, sweet iced tea, and my cute little Kurieg for all those hot beverages so let's chat about ways we can bridge that reader-writer chasm! You are the best big sister blogger ever. I thank God for you and this wonderful, supportive, encouraging community He has placed us in. HUGS! Ahhh! I love you!!!! And I do believe i have a book bingo! Center accross: I gifted Lady and the Lionheart, YA Book- Unraveling...Free space....Re-read Lady and the lionheart(do you see a pattern)...and follow Seekerville, Melanie Dickerson, Julie Lessman, Mary Connelly, Beth, Carrie, Ruthy....and others. YAY! I am so excited to be Seekin' with you, Beth! Your post was excellent! Social media and online stuff can be daunting for authors who would rather be holed up somewhere writing, but meeting awesome people along the way makes it all worthwhile! And I'm wicked excited for Book Bingo! If folks have half as much fun playing it as we did putting it all together, I say it's a smashing success! LOL! I certainly HOPE I did that correct :-) I also do a lot of what's on your list already. READERS LOVE OUR AUTHORS!! YAY for you, Trixi!!! I had no doubt that a loyal reader like yourself would be all over this Bingo business! I love scaring people.... and then they meet me and they are like "YOU'RE NOT EVEN BIG!!!!" And I give them a dumb look (I am good at those) and they say "TO BE SO SCARY!!!!" And then I love that I scare them!!!! Iron fist in a velvet glove filled with COOKIES!!! :) You guys are a hoot and I'm loving this post, this Bingo (I'm Catholic, Bingo is in our blood!) and the whole thing! I'm off to bed, Seekerville! See you in the morning (but not early, bleh, chat amongst yourselves and snack on the goodies)! I am so excited about this!!! I am the official "Gatherer Of The Recipes" and you know how much I love food!!! Writing is a serious business...(Ruthy is glad you can't see her face right now!!!)... but golly gosh goodness, it's important to have fun, too. I love you, Ruthy and there's always fun when you're around! 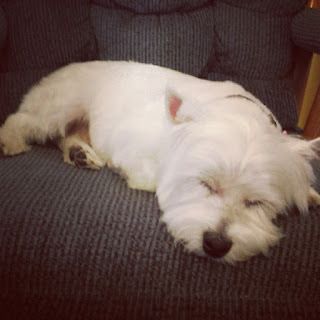 My Westie's napping right now too. Thanks for the goodies. I hope to be back for Bingo. 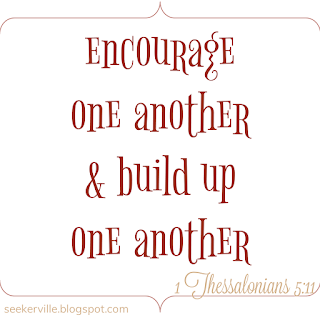 I think it's great when we support and encourage each others. Thanks for sharing today! Ruth Logan Herne: I've read every single one - and loved them all! Julie Lessman: Read & edited Julie's Seekerville novellas & read some of her novels as well. 'A Passion Most Pure' was the first of hers that I read. Over the last several years, as Jamison Editing has grown, I have been able to work with some of these great authors (and others that aren't Seekers) and I absolutely love it! Also, CFRR was amazing last year & I can't wait to attend again in 2019! What a fabulous way for readers & authors to come together. Beth Jamison, I remember meeting you and hubby at Mall of America! What a fun day and so special to see you both there! *Whew! * I'm so glad that you've read at least ONE of Ruthy's books! LOL! Congratulations on your bingo, Beth! Hanging out with the cool kids is a bit surreal at times but so much fun! Not to be melodramatic but CFRR kinda changed my life (at the very least my reader life) and I love it! The wheels are already turning for CFRR 2019 and I am super excited about what's coming next! It is an equally comforting and frightening thing to be bossed by Ruthy. But she's Ahhhhmazing, as you well know!! And this is such a sweet post! I love that you've had enough courage (and prodding) to step out into this wonderful opportunity! YAY!!!!!! Pepper, I'm so glad you're up and around!!!!!! Flu besties.... or just illness besties... and lovers of Phineas & Ferb!!!! :) Glad I didn't have to hog-tie anyone! And we had so much fun putting it together! Carrie and Beth are the bestest most fun to hang with! And when you find yourself being bossed around by Ruthy, just remember...that has been my ENTIRE LIFE!!!!!!! I'm a little afraid to admit how many times I open my mouth & my mother's expressions come out! Oh Ruthy, you are so humble, LOL! Good morning, Beth! I love this idea and am so proud to be your Seeker sister. Let the fun begin! (Okay so it already has) Let the fun continue! Hi Mindy! The feeling is mutual, friend! More good times ahead in Seekerville without a doubt! Great post, Beth! Love this Seeker Bingo! Thanks for the chance to play today!! His Montana Sweetheart was my first Western!!! And now I have a cowboy series being translated into Polish! Now that's a giant leap forward with cowboys!! Beth, love the Book Bingo! How fun! Thanks for being so creative with your blog post! I love, love, love being with readers. FB is my favorite social media because it allows more dialogue. Twitter not as much...but that's only my opinion. Also, I love FB chats! Oh my gosh, they are fun. I've gotten to connect with many wonderful readers that way. I also enjoy in person meets, especially at Reader Luncheons! Hugs to all the readers! You are appreciated so very much! I'll let you in on a secret, Debby... I really had NO IDEA what to share before Erica's book bingo concept so I'm glad I have a few months to come up with an idea for my next post! Facebook is my favorite too (even with all the algorithm drama)! You are a natural with the reader events! You have such a calming presence and generous heart. It is a pleasure to know you, friend!!! Thank you, Beth, for your sweet words. You've made my day! Beth, this has been a kick in the pants for me and I am going to Get Back To My Book Reviewing. This makes me smile, Kaybee, but let's think of it as a friendly nudge ;) Happy reading! Good Morning Beth, Suzie and Seekers! Beth, you are so creative and I'm in awe of your review writing skills. Caryl, you are such a dear reader friend! Honestly, I there's no one as surprised as I am when entertaining reviews show up on my blog. You can ask Carrie or Rachel (Bookworm Mama), once the review is out of my head, I have no recollection of what I said, LOL! Writers think THEY have it bad....phshawww! LOL, Trixi! When someone asks me about a book, I feel like my brain goes into Rolodex mode! Good to see you here at Seekerville, fun post! I've seen your name around at all the cool book places. I've always wondered is Erin your middle or last name? I try to support authors online and through reviews. All that bingo-ing made me work up an appetite! I'll have my cinnamon bun and coffee now. Happy Friday and reading weekend everyone! Hi Tracey! Erin is my middle name. I don't use my last name online for a couple of reasons 1) it is long and often mispronounced and 2) to protect my husband's and our children's privacy. Congratulations on your bingo! Enjoy the goodies and have a great weekend! OH MY HEART. THANK YOU!!!!!!! You have no idea what that means to me. Hi Beth. What a fun post. I am claiming BLACK OUT on the BINGO and I'm betting lots of us Villagers can do the same. As an aspiring writer I have asked the question,"Which came first, the book or the platform?" I have learned that the answer is both. Work on that platform, i.e. connection with readers from day one, long before a book is ever published, but have that book ready for whenever the time is right(write). And just as a P.S., Seeker (old and new) books are always my favorite and the first to be recommended on my social media and blog. Seekers are the best! YAY, Cindy! I wondered if we'd have any blackouts! In the short time I've been active in the fiction community, I've seen too many debut authors struggle to get that book buzz going because they don't have that foundation of bookish connections. Hi Beth! What a fun post to start our weekend! And the Book Bingo idea is so much fun! What a great idea! Hi Jan! Thank you! If you can find a way to have fun with social media, it won't feel like such a chore (because yes, I often feel that way too). I'm glad everyone is having a good time with it. We certainly had lots of fun putting it together! I’m so excited about Bingo!! I bet we’ll have a bunch of winners! I'm so proud of you and happy to see you hear! I love that Miss Bossy Pants line! Should say see you here! Need my editor! Hi Janet! Thank you, friend! I can't speak for all of the Seekers but Carrie and I have all kinds of pants in our arsenal, lol! Since I don't have an editor (besides my dear friends who swoof proof for me on occasion), I rely on the Grammarly browser extension to keep me from word flubs. There's really no telling what would happen between my brain and my fingers without it! See you later for bingo fun, Janet! I need more pants, ha! Beth, opportunities are scary, at least at first. Glad you've grabbed hold of this one! Your advice on handling social media is excellent! The Bingo game is so clever! Love a Seeker Cookbook prize for winners! Hi Janet! Thank you! 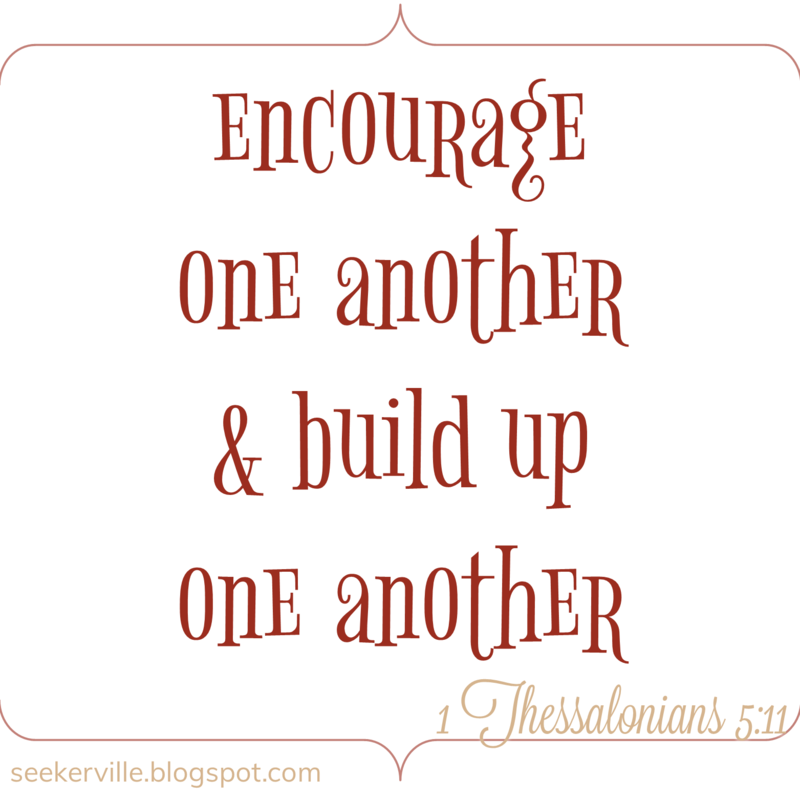 I'm glad I could share some practical encouragement! And Janet has included a couple of fun appetizer recipes for the booklet.... Once a Seeker... ALWAYS A SEEKER!!!! Beth.....CINNAMON ROLLS! Filling out my bingo card as I devour the treats. Thank you! Beth, I appreciate your fun post....and the perfect Bible verse for Seekerville. Blessings to you as you follow His call! Yummy, right?! I think I'll pick up another for mid-morning snack here. Congratulations on your bingo, Sherida! Thank you and I'm glad you enjoyed the post! So, Suzie seems to be taking her new-found fame in stride. :-) You'll just have to channel her zen calm. Visited Seerville -- all the time! YES I have a library card!!!!!!! Bless your reader heart, Kav!!! AND you took the time to name all your squares!!! You are author-support royalty, my friend! HUGS!!! And THIS is why we love you Kav (at least this reader does), your awesomesauce support of authors! You never fail to inspire me to do more and be a better review writer. Seriously, you write from the heart and are cohesive, and I'm learning more how to do that by your example. I never want to write stuffy, unfeeling reviews...I want passionate , whole-heart-in my words! Kav, you're amazing...and such a supporter and encourager! Sending hugs and love your way! Wow, Kav. I shouldn't be surprised. Kav, you are such a devoted reader. Love your reviews and generous spirit. Go you! Oh my word, this is such a blessing to each and every one of us! Thank you Beth for doing the post.... And Kav for flexing your amazing readerly (and walking!!!) muscles! This is marvelous! I'm one short of a gift a book bingo. Hi, Beth! It's so great to see you as a regular here! You are so right about the reader-author connection. When I first started this publishing gig, my focus was on sales. While income is nice, the friendships I've gained are invaluable...and an unexpected surprise! I also think the relationships between Christian/inspirational authors and readers is different than in other genre circles. It truly is a special blessing. Thanks for bringing the fruit platter. I'm trying to live by my "one word" for this year--discipline--so I'll choose the fruit even though homemade chocolate chip cookies are my favorite! Hi Karen! Relationships form so naturally within the Christian Fiction community. It must be an extension of our shared faith and His love poured out in, to, and through us. There's so much to love about this post! First, I'm just so excited to have Beth on the Seekerville team! She brings so much to the table... sharing about books, getting the word out and letting folks know what's new and exciting in the world of books. We love readers and we love bloggers and .... okay, we just love our social media gals and feel like we snagged the gold at the end of the rainbow when these gals agreed to come on board. Pam!!! You're making me all teary eyed! Thank you, friend!!! HUGS!!! Oh. Dogs and dirt. Dogs and mud. Dogs and dead worms. Dogs and old stuff. Dogs and.... this list could get extensive!!! Oh, I can guess, LOL!!!!! Jeanne, get out of town! No, really stay! Let's be friends so you can say nice things to me whenever you want! 😊 Thank you so much, I didn't even know I HAD a writerly voice, so this is kind of a big deal to me! Yay! I'm so glad we made your reader heart happy today, it was a mutual experience 😘 Congratulations on your book bingo! Thank you, Sandy! It's still sinking in here. Congratulations on your book bingo! Yay! Of course you have a bingo! Way to go, Caryl! Hi BETH! I'm late to the game, but better late than never, eh? Love you my friend! You have such a generous heart! This post encourages left and right! I LOVE IT! Have a fabulous weekend, friends! Annie! I love you, too! Thank you so much! BETH!! I'm a day late and WAY more than a dollar short since we just got back in town from vacation today, so I'm sorry I didn't make it here yesterday. But what a fun, Fun, FUN post, my friend -- LOVE the Bingo game!! And MEGA thanks to all those fab readers who included me on their bingo board -- MUCH appreciated! Book bingo! Sorry I’m a day late. I can fill a lot of these boxes, but the right side down is a decimated bingo; Jan Drexler Naomi’s Hope, Mary Connealy- all of them! Social media- seeker vile, Mary, Ruthy and others, cover love- so many, but Welcome to Wishing Bridge comes to mind, Julie Lessman- A Passion most Pure and others. Thanks for the fun game! I just reread my comment. Decimated was supposed to be definite. I just love your heart!!! Thank you so much for this post! What a fun Bingo game! I've been out of town and now I'm sick, so I'm behind on everything. Aw, I hope you're all better now, Winnie! Yay! Congratulations on your bingo!